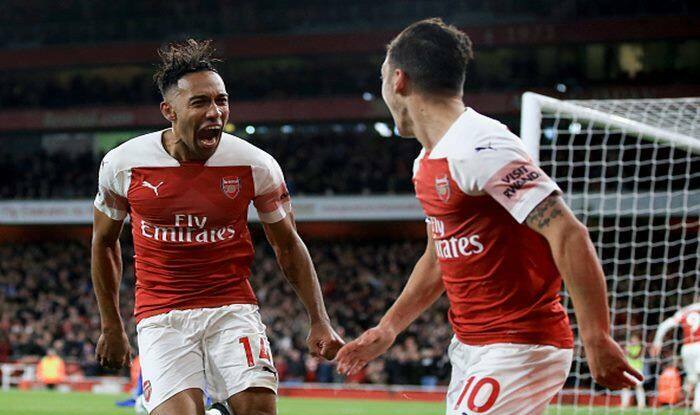 Whereas other football leagues take a well-earned rest over the Christmas holidays, the matches come thick and fast in the Premier League in a frantic period which puts a strain on players' legs and can well determine the eventual champions. Whereas other football leagues take a well-earned rest over the Christmas holidays, the matches come thick and fast in the Premier League in a frantic period which puts a strain on players’ legs and can well determine the eventual champions. It has not been a kind Christmas for Manchester City with Pep Guardiola’s side suffering a 3-2 defeat at home to Crystal Palace and a 1-2 loss away to Leicester City, reports Xinhua news agency. Add to those defeats, the 0-2 setback away to Chelsea a fortnight ago and the side who barely three weeks ago were looking as if they were the ‘Champions elect’ have slipped to third in the table and are 7 points behind Liverpool, who they will play on January 3. Before that crunch game, however, Guardiola has to lift his men for Sunday’s visit to Southampton, whose Christmas celebrations were ruined by a 1-2 home defeat to West Ham on Thursday. City beat Southampton 6-1 in the Etihad Stadium at the start of November, but they now travel knowing that anything other than another win would be a disaster. Liverpool defend their leadership at home to Arsenal, who have become rather inconsistent in recent games and one of the main talking points will be whether the talented, but over-mercurial Mesut Ozil will start for the visitors after being replaced for ‘tactical reasons’ in their draw at Brighton on Boxing Day. Liverpool boss, Jurgen Klopp continues to play down Liverpool’s title hopes, perhaps mindful that they are the only side to lead the title race at Christmas in recent years and fail to go on to lift the crown. The German knows that pressure could be Liverpool’s worst enemy, but the atmosphere in Anfield in recent games, also suggests that the Liverpool fans are starting to believe that this time the title challenge is for real. Tottenham moved into second on Wednesday and have hit their best form of the season at the right time, scoring 11 goals in their last two matches, with a 6-2 win at Everton followed by a 5-0 drubbing of Bournemouth. Mauricio Pochettino was able to rotate his squad on Wednesday and will bring Kieran Trippier and Dele Alli back for their home game against Wolves, who should provide sprightly opponents at Wembley, but who will also struggle to contain Harry Kane and the in-form Son Hueng Min, who was merciless in his destruction of Bournemouth two days ago. The fixture calendar has not been kind to Bournemouth and although Eddie Howe’s side are tidy in possession, they will have to tighten up at the back before their visit to Old Trafford where the departure of Jose Mourinho and the arrival of Ole Gunnar Solskjaer has brought around a sea-change in the atmosphere surrounding Manchester United. Paul Pogba looks happy to play again and although there is still plenty of room for improvement in United’s football, Solskjaer’s preference for attack rather than defence is starting to bring the best out of their players. Elsewhere Chelsea face a tough trip across London to face an improving Crystal Palace, Leicester City will take on Cardiff, who will pose a different challenge than Manchester City did on Boxing Day, while Newcastle United travel to Watford after a 4-0 thumping at Anfield. Brighton entertains Everton is what looks like an evenly matched game while Burnley need to turn things around after a 5-1 home defeat to Everton when West Ham visit Turf Moor. Finally, there is drama at the bottom of the table when second from bottom Fulham play Huddersfield, who travel to Craven Cottage after losing their last 6 games.